Start of the 2014-15 School Year! Hopefully everyone had some time to relax and recharge for the new school year. I am back and ready to go. Here is the first weekly installment of our Technology Resources for Teachers! Remember that I you can subscribe to this page or checkout my Educational Technology Tips and Tricks page. Want a really fun way to start class, collect data and check for understanding? 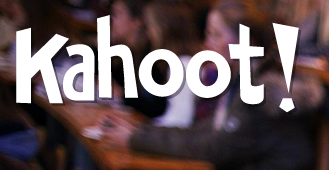 Try Kahoot! It is a very simple and easy to use web-based program. You can setup a free account that allows you to create a question and answer game OR an online discussion that is accessible via the web or mobile device. It is loads of fun and can be very short. I suggest you give Kahoot! a try. Next Post: Rubrics! Start your year off with a new rubric for technology.